Thanks to social media, when we see our friend’s picture-perfect travel photos it can inspire us to travel as well. We all want to experience that same amazing view of the Taj Mahal or ride in a Gondola through Venice like they did. Sadly, these destinations have become too touristy, and it’s nearly impossible to get an authentic experience. 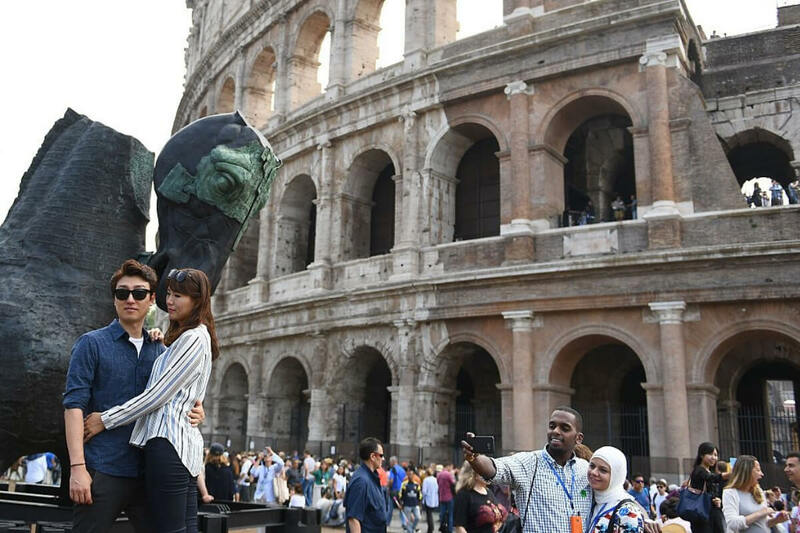 These photos show what these iconic travel destinations really look like, and the truth is, you can’t put an Instagram filter on real life. China is the most populated country in the world. 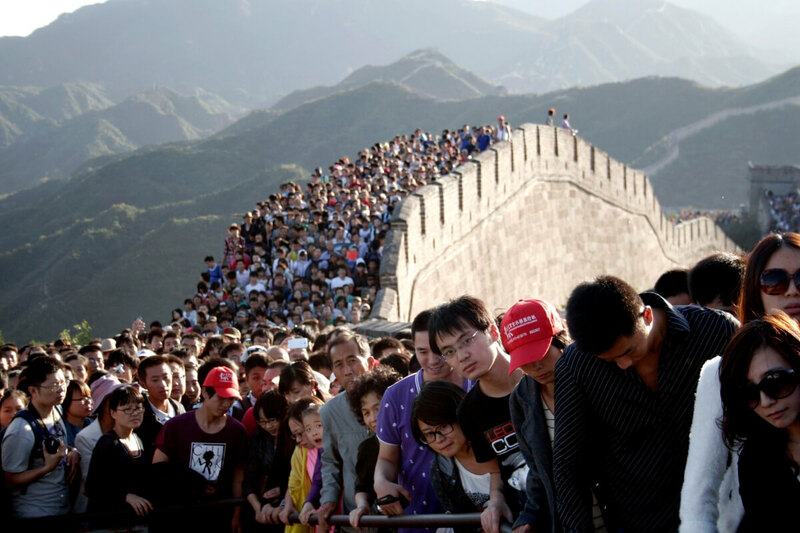 Add a bunch of tourists to that, and it’s no surprise that The Great Wall of China is routinely bursting at the seams. It’s also worth noting that in some spots, the Wall is only six feet high, which doesn’t seem all that “Great” to me. 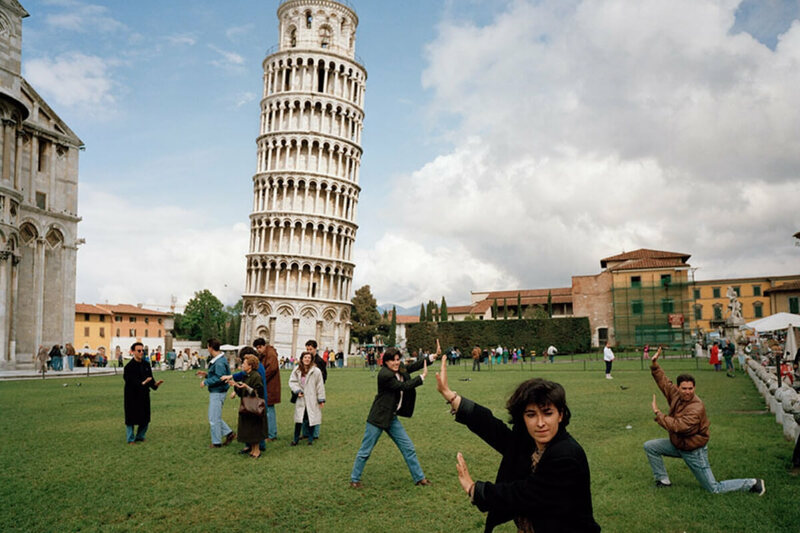 Most tourist attractions are all about getting the perfect photo, and there’s really only one pose everyone wants to do beside the Leaning Tower of Pisa. This shot looks like an instructional karate video gone wrong. We hope these people all got their Instagram pictures, but we’re skeptical. 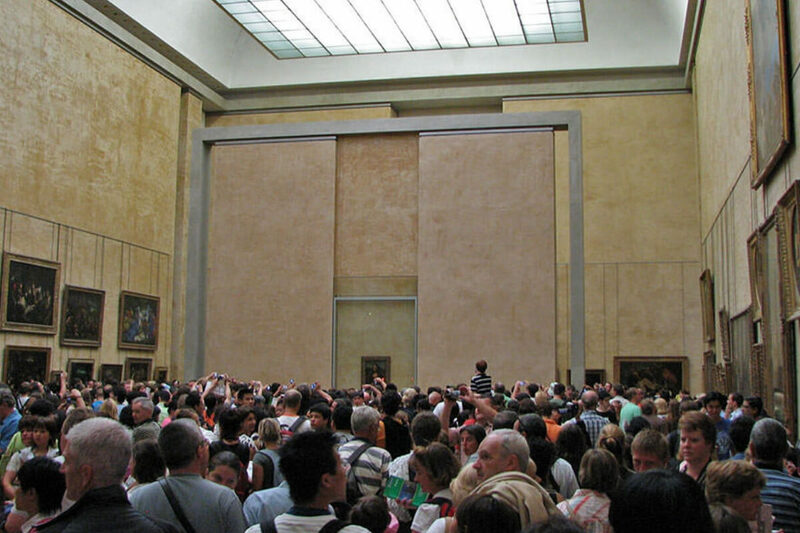 Pictures you see of the Mona Lisa make it seem like this huge, beautiful painting, but in reality, it’s 2.5 feet by 1.7 feet. That’s not very big, which makes it hard to accommodate all the people who want to see it. That’s why a typical visit to the Louvre looks like this. In all the photos you see of Prince Harry and Will Smith at the Taj Mahal, it seems like a beautiful, serene picture of India. In reality, it’s one tiny island in the middle of a very polluted, smog-filled country. 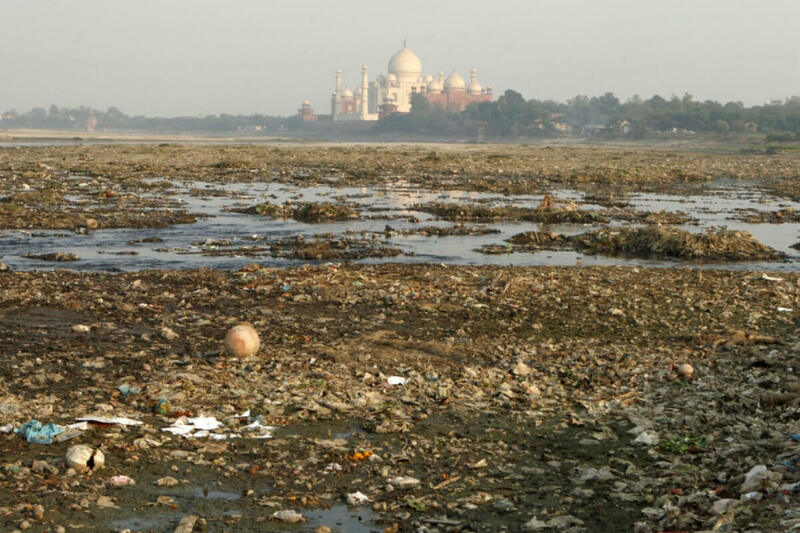 The Taj Mahal might be a beautiful sight, but it definitely isn’t an authentic picture of India. 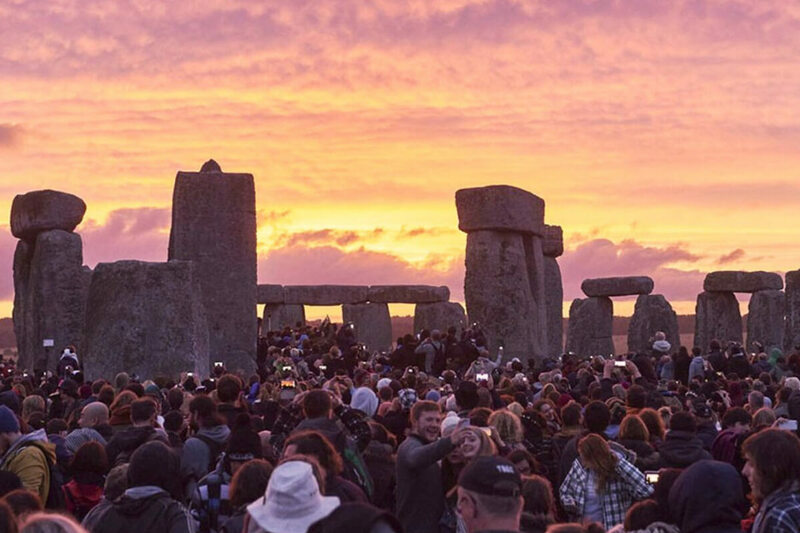 This photo is from one of the few Special Access Visits that Stonehenge allows. On a normal day, the site is roped off and the closest you can get is ten meters. These Special Access Visits are so in demand that they’re booked months ahead, so good luck getting a good view of the stones. 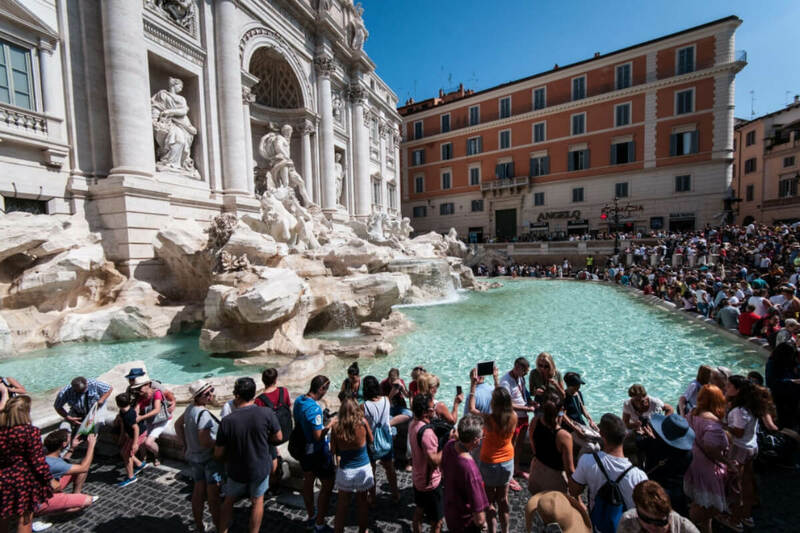 If you’ve seen The Lizzie McGuire Movie then you already knew the Trevi Fountain in Rome was busy. Since we all can’t be Hilary Duff, most of us would have to wait nearly an hour to push our way to the front of the crowd and toss in a coin. 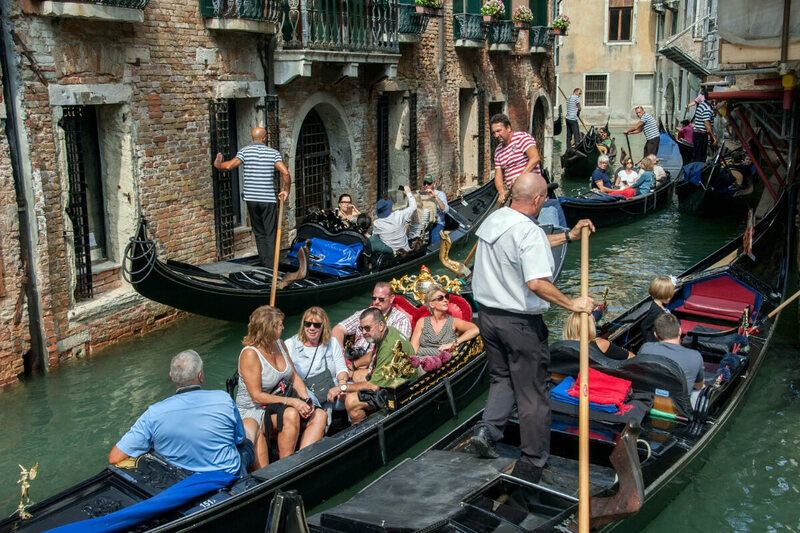 A gondola ride through the canals of Venice looks like one of the most romantic experiences, but gondolas are few and far between. It costs about $100 for a half hour ride through the city, which isn’t too bad, except half the time is spent bumping into other tourists who are traversing the narrow canals. 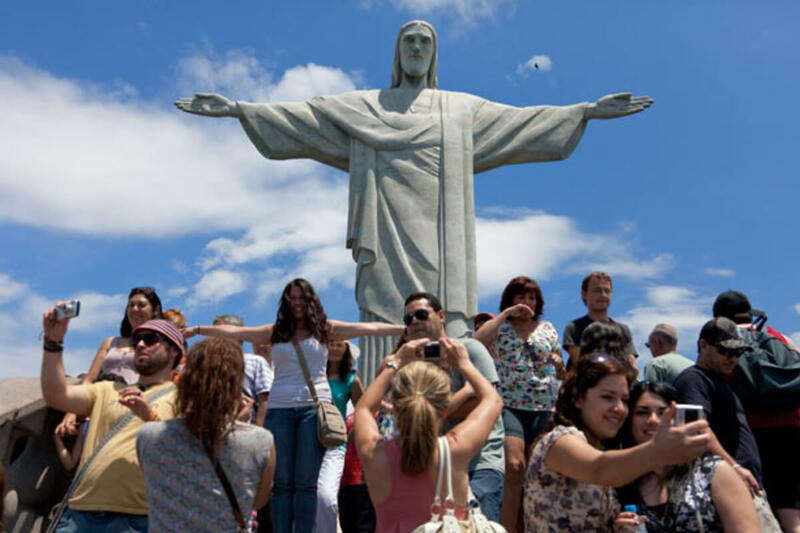 The Christ the Redeemer statue in Rio de Janeiro, Brazil is set atop a mountain and viewable for miles around. The people who want to get up close and personal with the statue can do so with an easy climb, but be prepared to see a lot of people posing like the woman in the white shirt here. 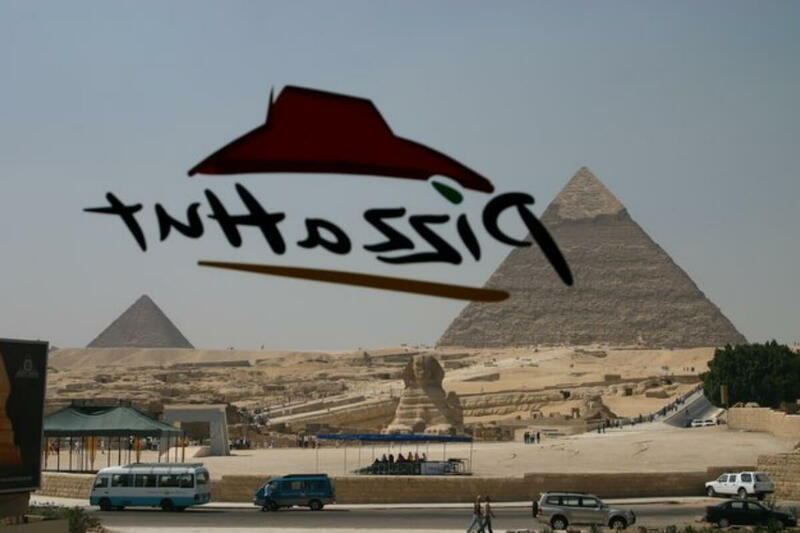 Nothing says “authentic tourism” like this view of the Great Pyramids of Giza through the window of a local Pizza Hut. Sadly, this is common with most major landmarks. Capitalism has spread and it’s not uncommon to find a McDonald’s or Pizza Hut right beside beautiful, ancient ruins. 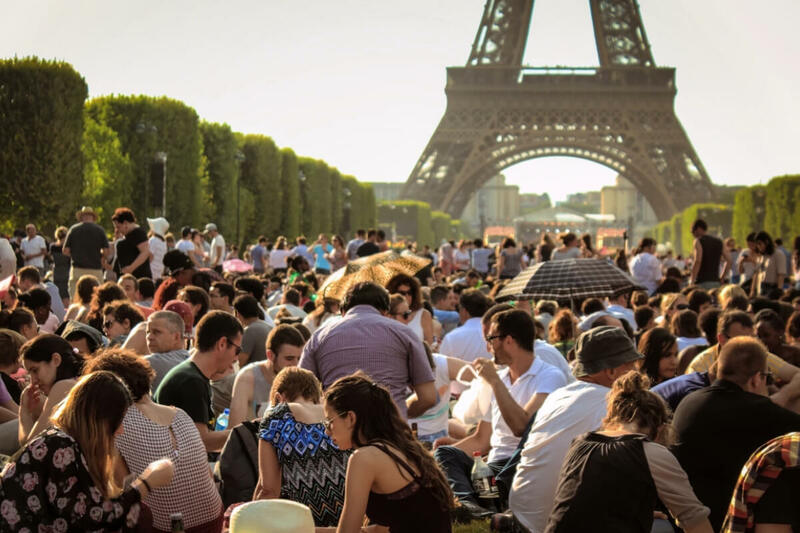 There’s nothing more relaxing than enjoying a picnic of wine, bread, and cheese on the lawn in front of the Eiffel Tower, right? Wrong. If you’re lucky enough to find an empty spot, you’ll be packed in so tight that there’s no chance of getting that perfectly-timed candid snap. 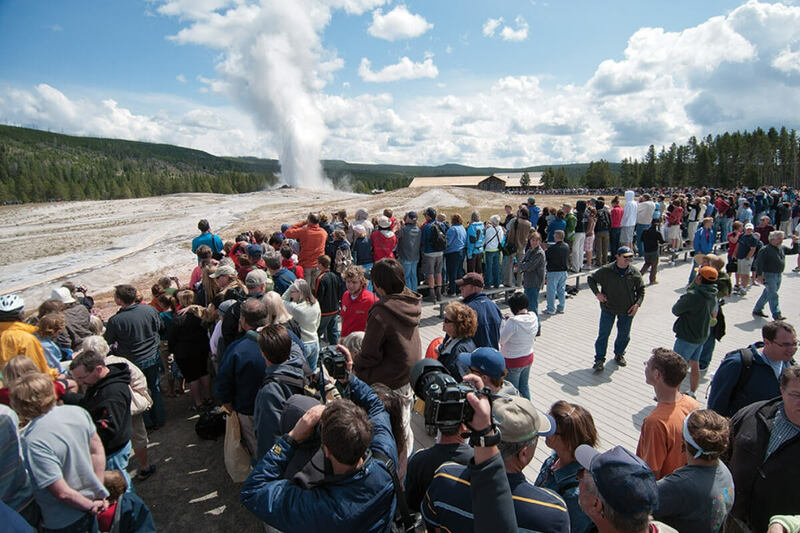 The one good thing about Old Faithful is that it’s big enough to see from afar. That’s because you’ll have trouble getting to the front of the crowds waiting for the geyser to erupt. Luckily, Yellowstone National Park has so many other beautiful spots that make up for the disappointment of Old Faithful. 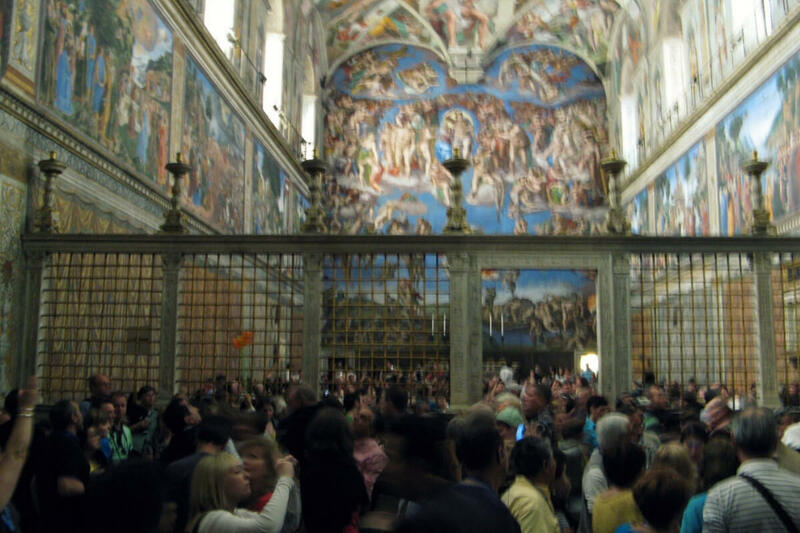 People travel far and wide to view the beautifully restored paintings in the Sistine Chapel in Vatican City. It may be crowded like this, but at least you’re forced to experience it with your own eyes. No photography is allowed in the Sistine Chapel. People will still try to do it like this, but if a guard catches you they can legally make you delete the photo. 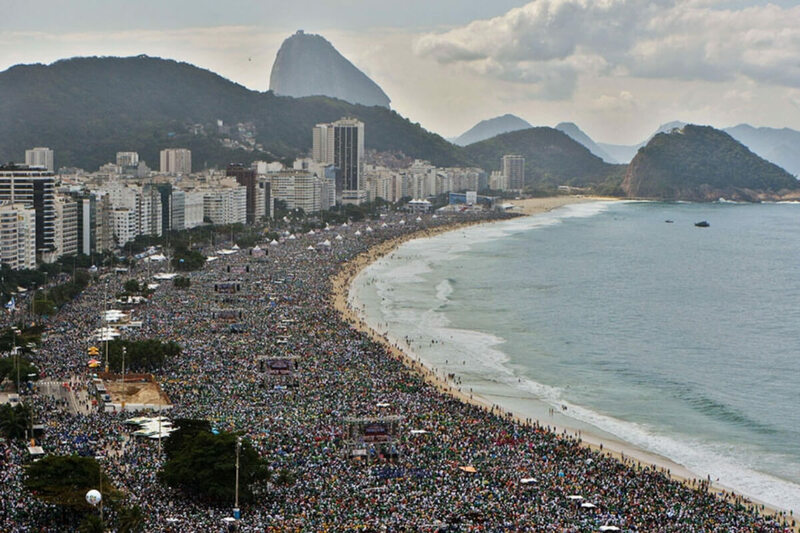 When you’re not visiting Christ the Redeemer, you might stop by the famous Rid de Janeiro beach. This beach was the inspiration for the iconic song “The Girl From Ipanema” and attracts thousands of visitors each year. That’s why the beach is often packed to the brim and sadly full of litter. 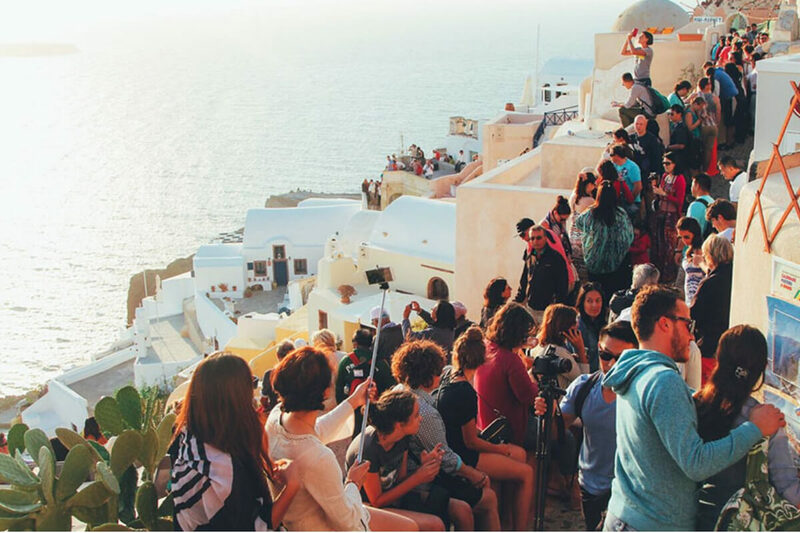 Santorini’s iconic white and blue village has become a signature Greek destination for travelers. The village is so committed to the image that by law, all new houses since 1974 have to be painted white. The sea-side sights and unique buildings attract many tourists which sadly packs the thin mountain-side streets. The East Side Gallery is the longest standing section of the Berlin Wall and artists are allowed to paint certain pieces of the wall. 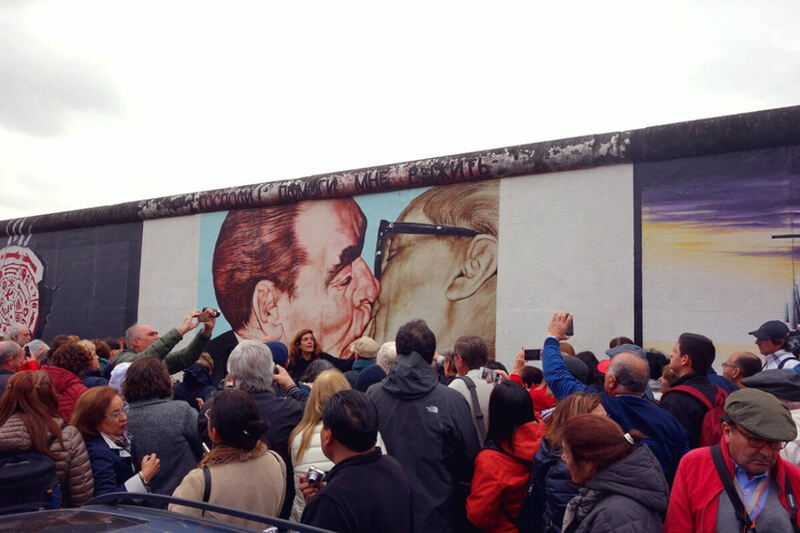 Some of the more iconic paintings like the “Fraternity Kiss” attract crowds that spill out onto the street and even block traffic. You’ll have to fight your way to the front to get a picture with it. If you travel over to the Canadian side of Niagara Falls, you can take a ferry ride under the falls and even climb up over it. The view is breathtaking but you’re guaranteed to get wet. 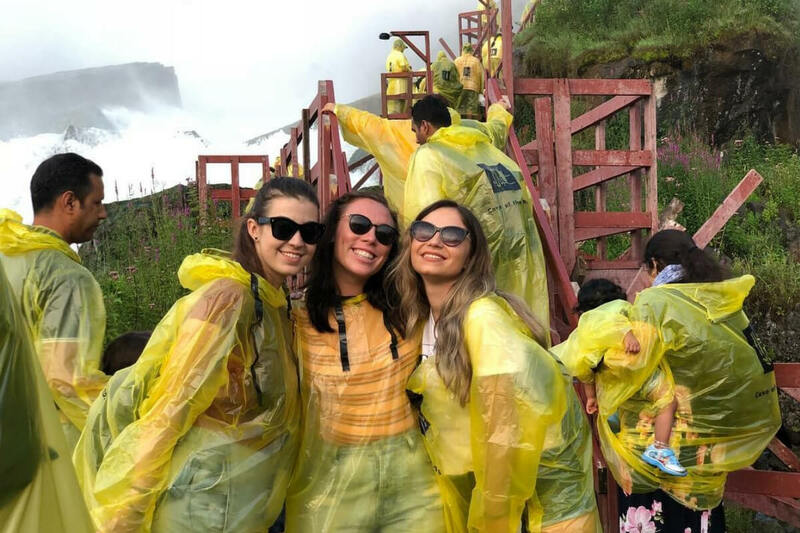 That’s why your view is likely to be ruined by the hundreds of people around you wearing these ugly ponchos. 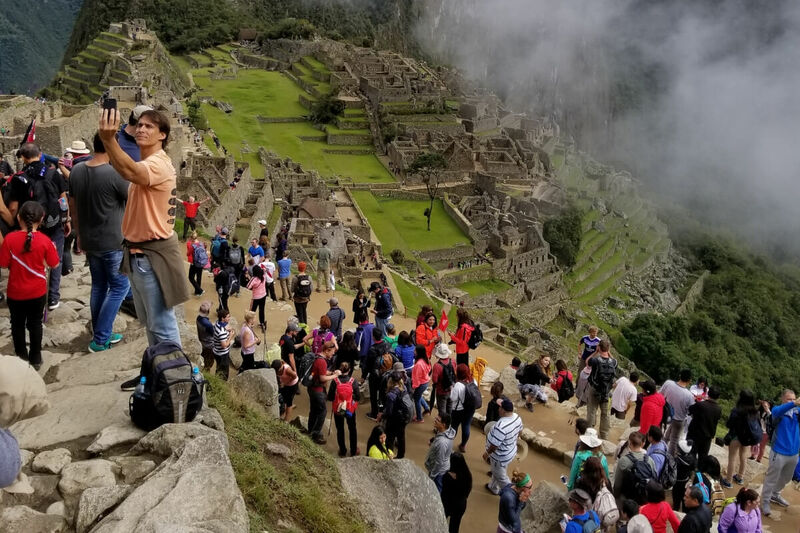 Machu Picchu is an old Incan city set up on a mountain in Peru that brings in hundreds of tourists a day. Luckily, the site was built with intricate stone walls that layer up the side of the mountain. That means even though it’s busy, you can probably scope out a lonely spot to get the perfect photo. There’s rarely a day that goes by where Buckingham Palace in London, England isn’t surrounded by tourists, whether it’s a changing of the guard, appearance by the Queen herself, of an event like a royal wedding. 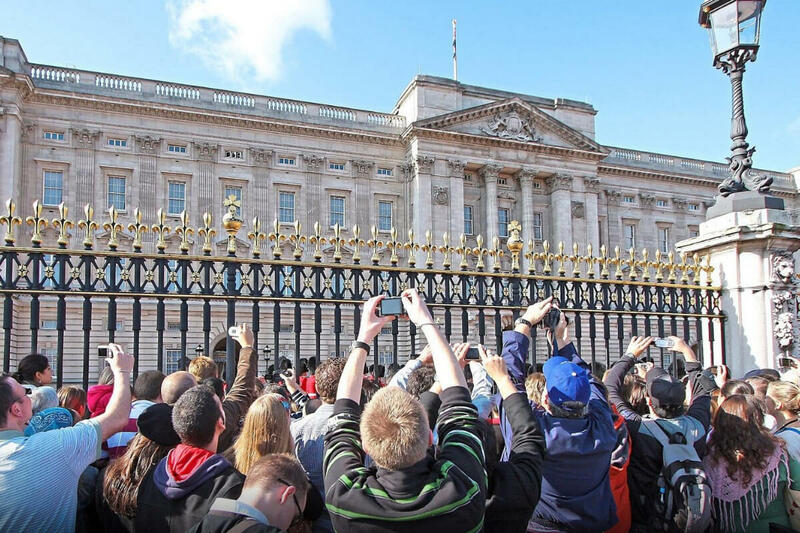 Crowds never fail to flock to the gates of the palace for a look at the impressive building. The Colosseum used to hold gladiatorial combat during the Roman empire, and it will feel like you’re fighting a lion just to get a good photo there. The crowds are overwhelming, and there’s a good chance you’ll end up with another selfie-taking couple in the background of your. 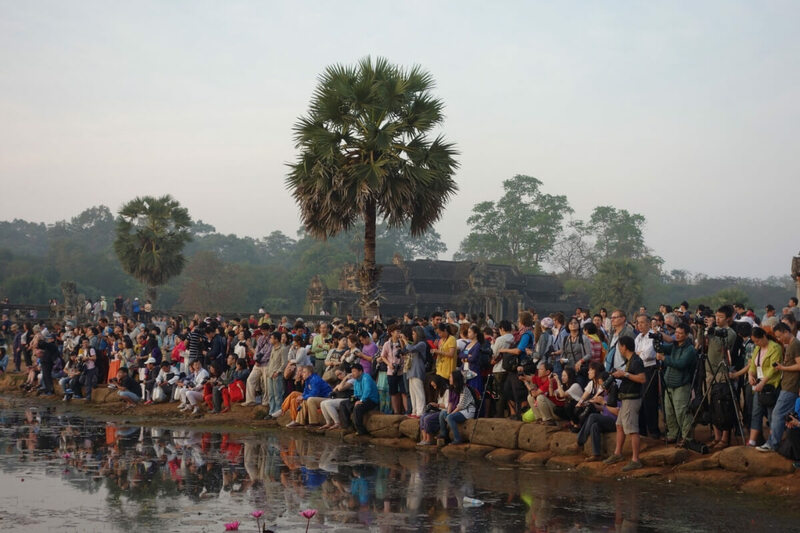 The Angkor Wat temple in Cambodia has become a national symbol for the nation, but going up and actually experiencing the complex isn’t that easy. Nearly 1 million tourists visit annually, and that’s begun to stress out the roads and sewage system around the temple. Groundwater levels have even begun to threaten the actual structure of the temple.